The latest version of Mint channels Gnome 2.0 goodness via two different approaches: Firstly, Mint Gnome Shell Extensions add Gnome 2.0 features to the Gnome 3.0 shell. Secondly, Mint now ships with Mate, a maintenance fork of Gnome 2.0 that can co-exist with a Gnome 3.0 installation. The extensions enable some Gnome 2 features to exist on the Gnome 3 desktop. Sure enough, the end result is desktop that contains aspects of both desktops. 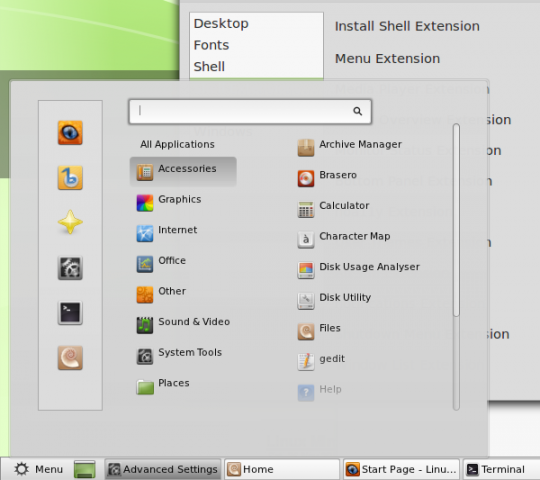 However, this recreates the layout of a default Gnome 2 desktop and doesn't seem to have much scope for customization. It's worth noting that although some have criticized the overall direction that Gnome 3 has taken so far, this custom feature has been made possible by extensions facility of Gnome 3. All of the extensions can be toggled on or off. 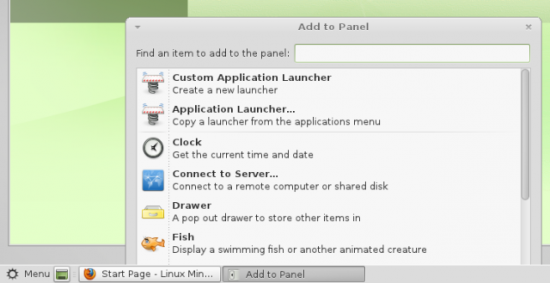 • Menu Extension - This adds something closer to the traditional Mint application launcher from previous versions. The icon is placed on the far left of the bottom bar. • Monitor Status - Display settings. • Alt Tab Extension - Traditional alt tab switcher. This allows you to switch between windows rather than applications. Mate is a fork of Gnome 2, and it's selectable on the login page in Mint 12. This is more information about it on this Arch Linux wiki page and this forum thread. 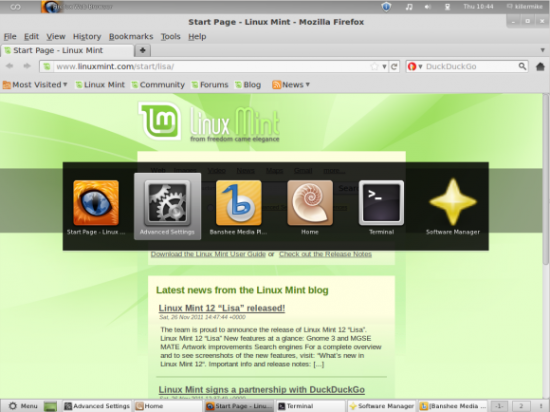 A full summary of the new features on the Linux Mint website.